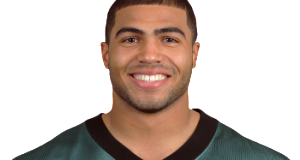 Eagles linebacker Mychal Kendricks has apparently caught the eye of singer Rihanna, who recently named him as her “man crush” on Instagram. Kendricks didn’t necessarily return the affection when asked about it publicly. Get more info here.